You may want to be sitting down for this one. Over the next few weeks, we will be releasing several major new products and updates – the most we’ve ever shipped in our company’s history. 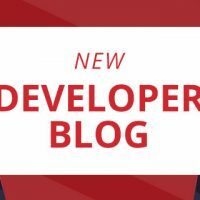 We’ve also heard your feedback loud and clear about our pricing and we’re rolling out some compelling new software, training, and support bundles that every indie developer through large enterprise is going to want to take a serious look at. 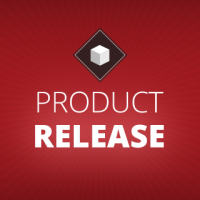 From a platform perspective, Titanium Mobile 1.7 is now available as a release candidate for everyone and will be GA in June. 1.7 provides a 5-fold improvement in productivity for Android developers and significantly enhances the overall performance and stability of the platform. Titanium Desktop 1.2 is also available now as a release candidate and allows desktop app publishing to the Mac App Store. 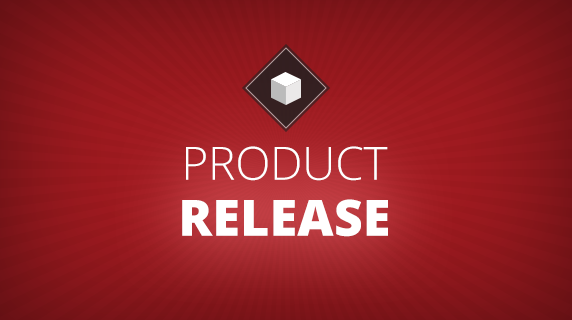 We are also announcing the Titanium Mobile Web SDK, an all-new product that gives Appcelerator developers the ability to develop both mobile apps and mobile websites from a single Titanium API. The Titanium Mobile Web SDK Beta is available for subscribers today and will be available to everyone at GA in late June. We are updating the Titanium BlackBerry SDK to Beta 2 today. With this release, API coverage on BlackBerry makes a significant leap forward toward parity with Android and IOS. The Titanium BlackBerry SDK Beta is available today to subscribers and will be available to everyone at GA in late June. Excited yet? How about a full release of Titanium Studio, lower pricing on Titanium+Plus modules, and a return of the popular per developer Titanium Professional package… now bundled with our all new on-demand training. All of this is rolling out over the next few weeks and we’re topping it off with a cool 30% discount on subscriptions for every Titanium developer out there that jumps onboard by May 31. All 1.5 million of you. Got your attention? Let’s dive into the details on what’s coming up. Fastdev for Android speeds prototyping and testing by enabling local changes to be instantly available to your application. Fastdev eliminates the time-consuming steps of packaging, building and deploying apps with each change. New cross platform APIs for TCP/IP networking: Sockets and Streams, and supporting APIs for managing Buffers and Codecs. Major improvements related to memory management and memory leaks for iOS (both iPhone and iPad) which substantially improves stability and performance. Support for the latest WebKit software on Mac OS and Linux, providing a consistent user experience across desktop deployment platforms. Quality improvements and bug fixes across Linux, Mac OS and Windows. Titanium Mobile Web Beta is available today to Indie, Professional and Enterprise subscribers as part of their early access benefit. The GA release is planned for late June. Titanium BlackBerry Beta 2 is available today to subscribers as part of their early access benefit. The GA release is planned for late June. At GA in early June, Titanium Studio will have two versions: Standard and Premium, with Premium features available exclusively to Indie, Professional and Enterprise subscribers. 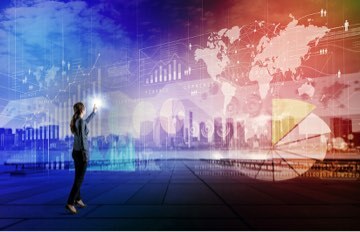 Additional premium features, such as: sample projects, integration to PaaS providers like Red Hat Openshift and Engine Yard, and preview releases of Titanium mobile and desktop are planned for later this year. 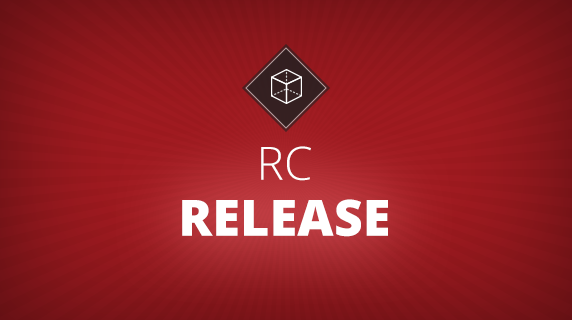 Titanium Studio RC1 is available today to both subscribers and community members. Titanium Studio RC1 is required for working with the Titanium Mobile Web and Titanium Mobile for BlackBerry Beta SDK releases. The GA release is planned for June. Thanks to everyone’s feedback on our new products over the past couple months, we’ve made Titanium+Plus and training much more accessible to everyone. Both products are now bundled into all of our subscription offerings (see below) as we focus on enabling developers small and large to learn Titanium quickly and build new apps with all the latest capabilities we offer. We’ve listened to your feedback on our subscription plans and have some exciting new offerings for developers who are building a business on Titanium. Titanium+Plus Starter Modules: Urban Airship, Apple in-app StoreKit, Barcode, PayPal, and more. New Titanium On-Demand Training: a $595 value, this 10-hour on-demand video series will provide you with an excellent foundation for building native mobile and desktop apps with Titanium. An optional certification exam (sold separately) will be available in early June. 50% off an instructor-led class. Upon purchase, we’ll email you a coupon that you can redeem at training.appcelerator.com for classes delivered by Appcelerator, Inc. Additional training vouchers will be made available every year at your anniversary date so you can stay current on the latest Titanium offerings. For mid- and large-sized teams, Titanium Enterprise offers Appcelerator’s highest-level of support and service. This subscription guarantees fixes for critical issues, provides single-day issue response, and includes 10 hours of consulting from a dedicated support engineer. For more details on all subscription packages, please see the full subscription descriptions available at: www.appcelerator.com/products/plans-pricing/. As a special thanks to everyone for their support and to celebrate our upcoming product launches, we’re offering a 30% discount on all of our paid subscription bundles through May 31. Buy an annual Indie, Professional or Enterprise subscription on or before May 31 and save 30%! Remember, when you act now you’ll also get immediate access to Titanium Mobile for BlackBerry, Titanium Mobile Web SDKs to get a fast start on your app development. As always, we appreciate everyone’s enthusiasm, feedback, and support. Please let us know how we can improve, what you’re up to with these new updates, and how you’re building your business on Titanium. This is seriously good news, also like the new Indie deal.. Might be getting it, because that BB SDK looks awesome as well! Debugging should be in the standard version of Studio. This is a big issue for me. Yea, Thank you for listening to all of the developer responses. I know I wast the only one who wanted an affordable option to have access to the additional modules aka paypal etc. Still waiting for better module support on Android. iOS bias is killing us Android devs who want to focus on Android then support iOS after, vs. the other way around. @jacob : even worse is that finding what is not working on Android. Usually I need to google around and eventually some strange answer or thread mentions “it is not supported on Android” and never documented properly. Yeah…finally going to chow down on a subscription. Indy will be good enough to get me on my feet. Yes I thought debugging would be standard as well, thats really gonna hurt me and my team. And what about the module marketplace? Other wise I’m very excited about what I’m seeing, but please give us back debugging! This is great news. I am sure to subscribe the INDIE plan. Very affordable. Titanium+Plus and BB added to this is a big PLUS!!! Definitely you should have debugging in the community version. Great news, you guys have definitely listened! The $49 price tag for the indie subscription well thought. The web development withe Titanium API is agreat thing for me as well, since I am not a web developer (but Java). Great news specially the fast android dev. and the studio with code completion. Wait. Why on EARTH would the Community subscription not let you view the knowledge base? This must be the most stupid thought process at Appcelerator ever (besides the lack of proper debugging). @Phil & Josiah: I do agree. The decision to charge for debugging seems strange as a debugger is a standard tool in about every IDE and not a convenience add-on. Have to say that until you get Android support working (it doesn’t work – buggy as hell!) this is not worth buying. I’ve been waiting to sign up as an ‘indie’ developer with you but based on the poor build of the android compiler I wont be doing so until its fixed. Stop focusing on iOS for a few months…please! Debugging is essential to developing apps. Limiting it to paying developer is really going to hurt your expansion. I do understand you need paying developer, but cutting this will just result in even worse apps on the App Store. This is wonderful news. There’s no reason now not to subscribe if you’re serious about your business. Does anybody know how the seat license will work? I may need two Indie subscription because right now I don’t need the Professional package but I have two workstation. Is it simply gonna be Indie price x2? Good to see a new version of the desktop product. I wonder if it supports encryption and passwords for the database? Great stuff. Don’t stop and don’t look back. We are pumped about what you folks are doing and are live with our first apps on iOS and Android – can’t wait to add BB and more. You’re making it easy for me to prioritise my development around your roadmap! I must agree with Josiah and Rick. Give community debugger in Titanium Studio standard edition, debugging as it is implemented now is really hard and painful. Good choices on all fronts. Good for the community, end users, and good for Appcelerator. Keep it up! Thanks for everyone’s interest in our new products and plans. @Angus – you’re going to love BB! We really put some shine on that product over the past several months. @Josiah – debug, Ti+Plus modules, 2 days of training all packed in an Indie subscription for less than you’re probably paying for cable. I think your team will love that plan. On Android investment / priority, know that we have as many Android devs as we do iOS devs at Appcelerator. It is a *huge* priority for us and we’re tackling the big issues head-on. Fastdev is coming out first for Android to address the number one issue there. Check it out – it’ll save you a full round build/test trip for every change. We added Android specific features starting in our 1.6 release (eg: intents). Yes, we are working hard to add modules on the Android side. We’re committed to parity there. As you can tell from the post above, we’re really, REALLY focused on making every Titanium developer successful. That’s what these announcements are all about. We can always do better, but we feel that this product refresh (I mean, look at all that product shipping in the next few weeks) and new offers (something for everybody) really gives everyone’s apps – mobile and native – a big boost. As always, keep the feedback coming. As you can tell, we’re listening! Before signing up for Indie can I see the docs or kitchen sink source for the mobile web sdk? I have been taking a hard look at sencha touch with phonegap vs titanium. At least for me a slight decrease in performance is worth it for easier cross platform development. Any way you can release some modules for free? Mainly the in-app upgrade one. Its the most common one I think that is requested, and could really drive more users to the product. Or release at a cheaper price. Many of us are first time developers and the prices just don’t make sense at the time. Right, so I got the Indie package, where do I get the licence from? Im getting unlicensed errors for the modules included, and its stopping the creation of tables etc in the rest of the app, so I cant go any further! Hey Ian – can you ping us at community@appcelerator.com? @Josh, we hear you. We just announced a ton of new product and packages, so we’re going to let the dust settle a bit and see what the big needs are. This seriously made me think about signing up for the Indie plan. The current annual Indie plan is $399. If I was to pay monthly, it would be $411. What I get extra is the 10 hour on-demand training. It’s only 20% discount if I buy annual plan. Would be really sweet if you offer 30% both on monthly and annual prices. And I bet that could make a lot of people pick up the annual plan. And you have typo on the pricing page. Should be “through” where it says “though”. Great news! I guess after 1 year we have to renew our subscription manually? And would it possible (if I need better support later on) to switch from indie to professional after 4 months of indie subscription for example? Your subscription will renew at 1 year and we’ll notify you via email. Yes, you can upgrade to Pro at any time. The whole idea behind our new plans is enable any developer to succeed depending on where they’re at with Titanium now and in the future. I would like to see what new features will be supported by the forth coming updates. Some time line or a road map, which will help the dev to plan ahead road map to the features on an app. 1: I still see some core iOS sdk 2.0 native features missing on Titanium. An example here (http://0.tqn.com/d/ipod/1/0/L/3/-/-/iphone_gallery_4.jpg) – I was not able to implement this UI interface on my app, and had to make a long round trip for similar functionality. 4: Aptana/Titanium plugin for eclipse. I would really appreciate a feature matrix, that clearly shows the supported native api’s. And make this available for the subscription packages. Sounds exciting…but have to agree with the other comments that the omission of debugging as standard is a big issue. I hope this is reconsidered; after all its 2011 and any dev environment worth its salt should have decent debugging tools built in. I wonder when the Titanium Mobile for BlackBerry will be available for GA. In September?